The Manor-house Sainte Victoire welcomes you throughout the year in the heart Medieval Bayeux. In this 15th and 17th century dwelling you are sure to find peace and calm. 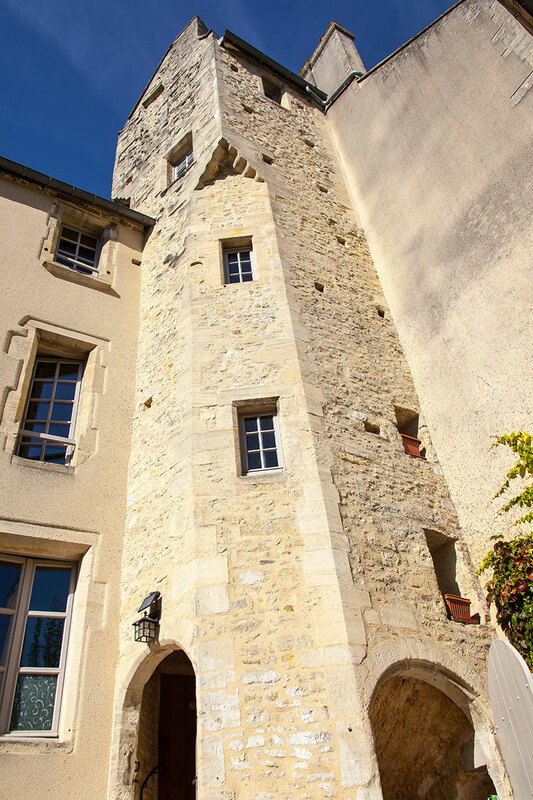 Its charming guest-rooms, decorated with care, are attained by independent tower staircase. You will be able to choose the individual atmosphere that you prefer from our three rooms, each one dedicated to one of the painters: Miró, Cocteau and Toffoli. Each room is equipped with a queen-size bed (with over-mattress), a lounge area with television and Internet access, walk-in shower, separate toilet facilities and a kitchenette. All rooms have a Cathedral view. We can organize for you, a tour to Honfleur, Saint Malo, Lisieux, Bayeux, D-Day Tour américain/canadien, Mont Saint Michel, Rouen, Caen, Etretat. We welcome you all year long. For one night, please try us one week prior for availability.